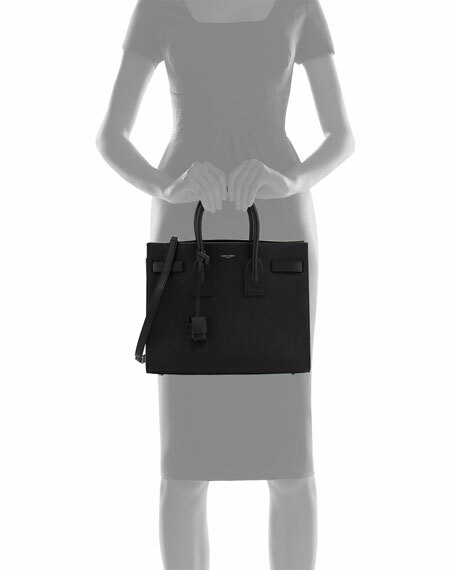 The Sac de Jour: An interpretation of a French day bag, this is the icon of the couture house. The minimalist design offers ease of everyday wear, while the meticulous attention to detail shows through from the accordion sides to the many features within the bag. 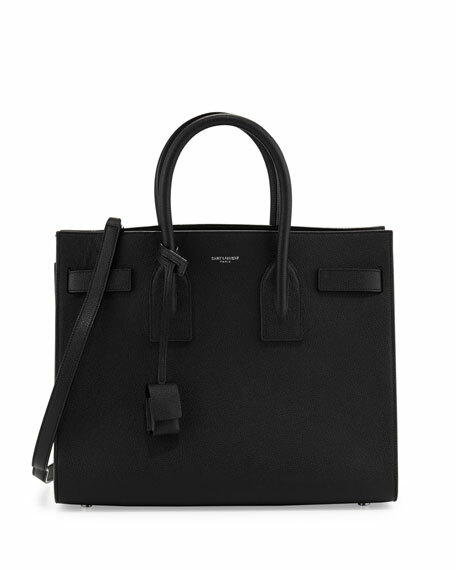 Saint Laurent bonded leather satchel bag. Tubular tote handles with hanging padlock charm; 4" drop. Detachable flat shoulder strap; 19" drop. Foil stamped logo at bag front. Belted straps at front and back cinch gusseted sides. 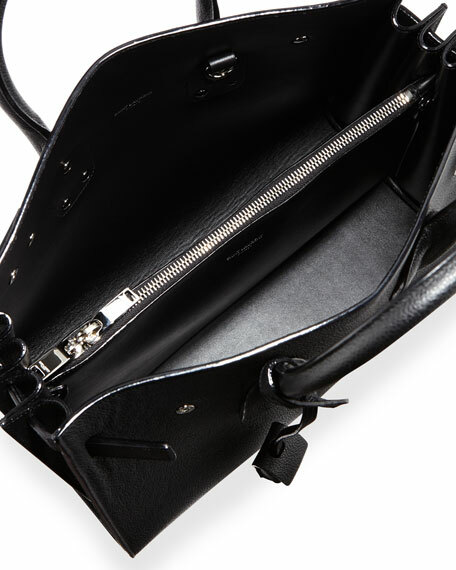 Open top; two-way center zip compartment. 10"H x 12.5"W x 6"D.
For in-store inquiries, use sku #1633368.